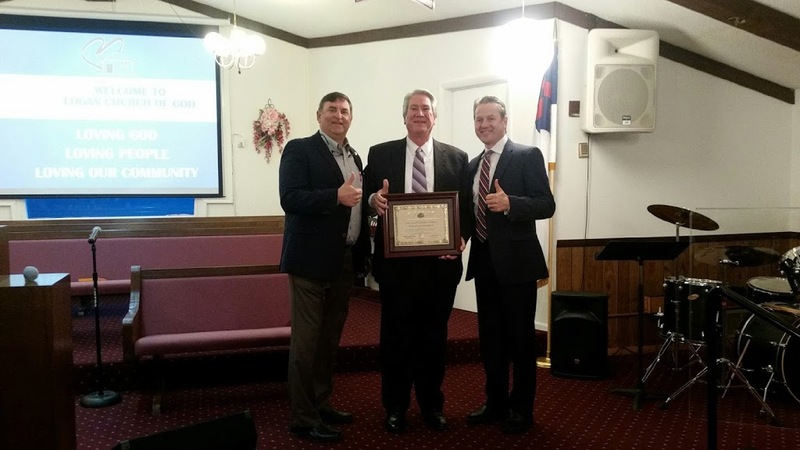 Pictured (l-r) are State Rep. Dave Severin, Pastor Rick Fowler, and Administrative Bishop Rick Whitter. This past Sunday, Rep. Dave Severin, joined a host of family and friends as they celebrated 100 years of ministry to Logan and the surrounding area. Special guest was Administrative Bishop Rick & Letha Whitter. Lunch was provided by “some of the best cooks around!” Rep. Severin presented a House Certificate to commemorate the occasion.